In the dead of winter, there is nothing better than bringing home fresh flowers. 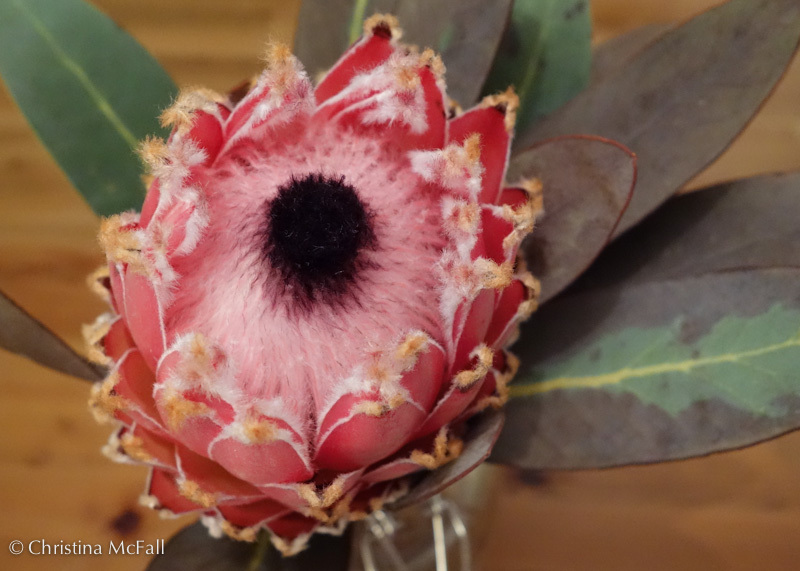 I bought this amazing protea flower yesterday at a kiosk in the subway, isn’t it gorgeous? I’m always a fan of big flashy flowers and proteas are one of my favorites – so geometric they make a great floral motif. I’ve admired them at many gardens, but this is the first time I’ve seen one for sale as a cut flower so I hope it lasts a long time. If you’re in the San Francisco Bay Area, I recommend the UC Berkeley Botanical Garden – they have some very impressive proteas as well as many other delights.